In 2018, Alice B. Fogel, Poet Laureate of NH, initiated a collaboration with the Women’s Caucus for Art’s New Hampshire Chapter. Twelve NH poets & twelve NH artists from around the state paired up to create new works. The result is a traveling exhibition, “Text & Textiles,” of artwork and poetry connected in some way to fiber. It first appeared to an enthusiastic audience at the Hancock Library in May of this year, and has since traveled to Portsmouth, Gorham, Plymouth, Nashua and Moultonboro. Then-Caucus president, Kate Higley, was instrumental in setting the traveling exhibition in motion, along with participating artist and poet Kate Dean. At each library, participating poets and artists have presented a well-received reading of their new poems and a fascinating panel discussion on each of the pairs’ processes and end results. These artists and their new partner poets had never met before, and in some cases still haven’t. 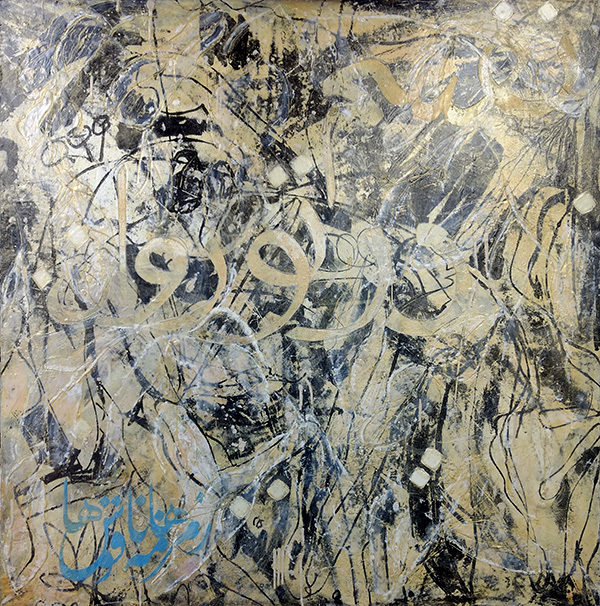 The pairs corresponded or met, sharing work and finding common ground and inspiration, and the stories of the collaborative efforts are as interesting as their finished works, making for varied, entertaining, and moving exhibitions and discussions. 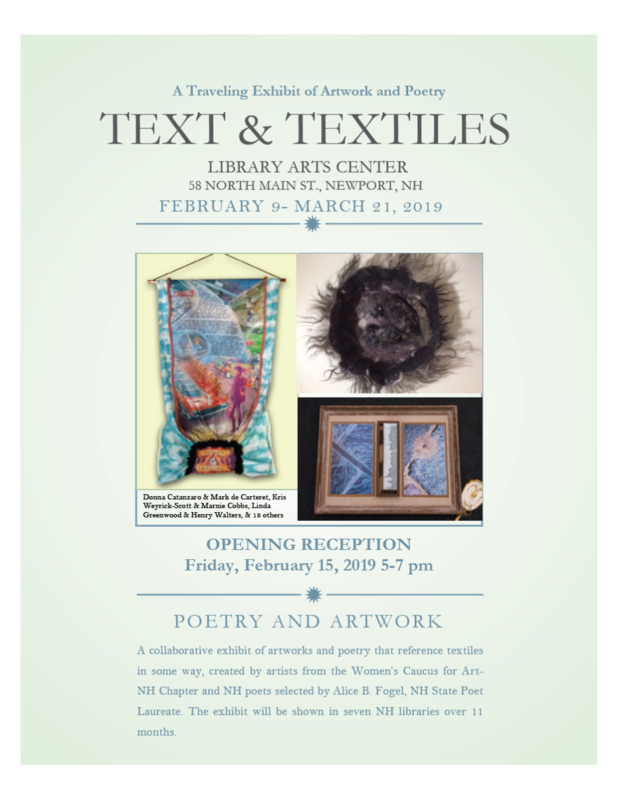 The Library Arts Center in Newport hosts the exhibition from February 9 – March 21, with its opening reception occurring at the Arts Center gallery on Friday, February 15th from 5-7pm. A search for “Text & Textile Catalog” on the Magcloud website (below) will lead you to the purchaseable exhibition catalog, a beautiful full-color, spiral-bound book of all the poems and artwork, along with biographical information about the writers and artists. The following is a list of participating poets & artists, from all across the state.